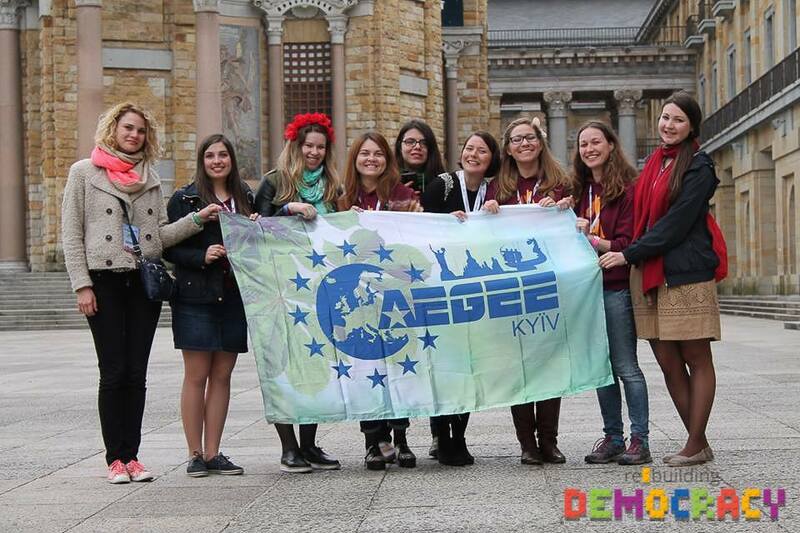 At Autumn Agora Cagliari 2014 the Ukrainian local AEGEE-Kyïv was announced as the organiser of the Autumn Agora 2015. The dates have already been announced, the team is organisers is full of enthusiasm and soon AEGEEans will be able to apply, so it’s time to find out a bit more about this local and the upcoming Agora! 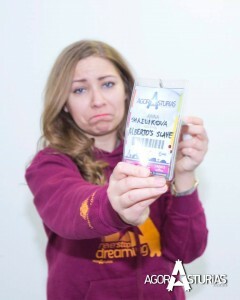 We spoke to main organiser Anna Pykhtina, also known as Smailikova, to learn everything you want to know. The AEGEEan: First of all, can you tell us a bit more about your local? Anna: AEGEE- Kyïv was founded twenty years ago and celebrated its anniversary in February. We already organised an Autumn Agora in 2009 and at the moment we have 120 members. In my opinion, our super active and friendly members that always keep a positive attitude make us unique. AEGEE-Kyïv is for many a place where they can find something special. Not to forget the friendship of many generations of our members! People who were active 7-8 years ago not only stay friends while living in different parts of the world, but also advise the new generation on everything we ask for. I believe that human relations is one of the most important things in our life and that’s why AEGEE-Kyïv is special. And can you tell us a bit more about yourself? 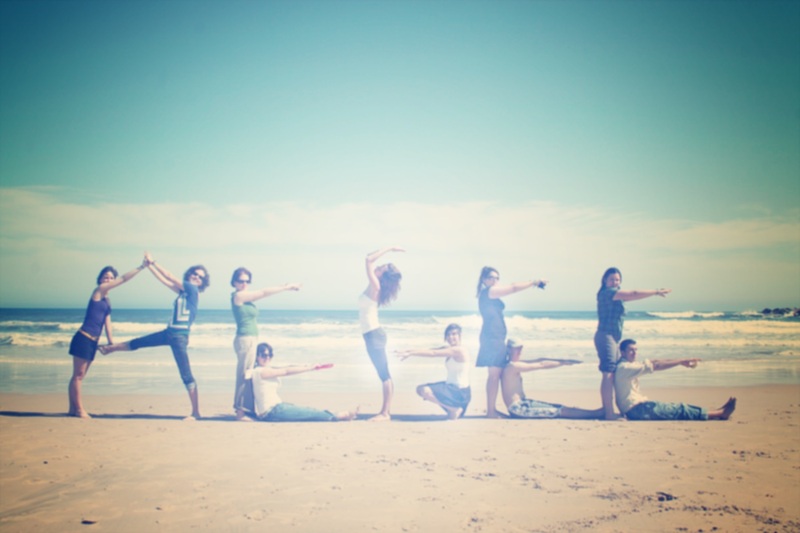 Who are you, when did you join AEGEE and what is your role in the core team? 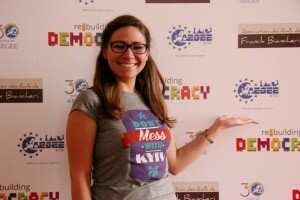 I’m AEGEE-Kyïv’s president and I joined AEGEE three years ago to go on a Summer University in Salerno (an awesome one). I became active in 2013 when I was chosen as the main organiser of Travel Summer University by AEGEE-Kyïv, and I think I’ve tried quite a lot of things in AEGEE, from organising events to writing articles. I’ve been board member, SUCT member, Academy trainer, SUPS organiser and the most difficult so far: Autumn Agora Kyïv’s main organiser. My role is coordinating, supporting the teams and making sure that this event will happen. 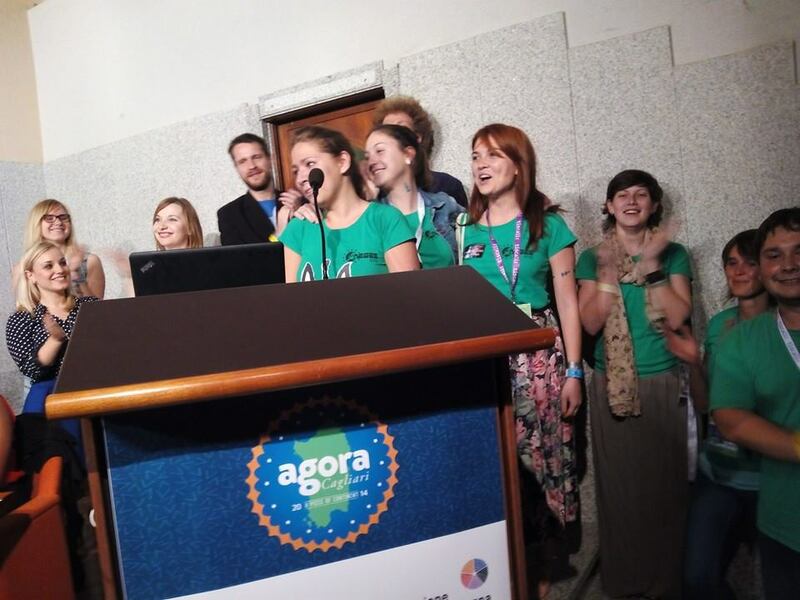 Why did AEGEE-Kyïv decide to organise an Agora? It was and still is a challenging time for our country. Ukraine is young. We became independent only 23 years ago and the democratic and active civil society is still building. Everything that happened in Kyïv from November 2013 up to now is shaping a new generation of Ukrainians. We felt that it is the right time to invite AEGEEans from all over the network and what’s more to unite with other locals situated in Ukraine, Russia and other neighbors countries. Moreover, it’s been a while since Agora took place in this part of Europe so there was no doubt that it’s the right idea. What was your first reaction when you heard Kyïv was chosen to organise it? Oh, I remember it perfectly. I read the e-mail, closed the laptop, opened it again, read the e-mail, closed the laptop and thought something like “You must be kidding me/Oh My God/No way/Is it a joke?” Better was to see the reaction of the Network when it was announced on stage in Autumn Agora Cagliari – that was a moment to remember! How are the preparations for the Agora going so far? It goes according to the plan. Until April, most of the work was done by the core team and in May the teams were formed. Now each team has work to do, strict deadlines and meetings. The busy time will start in August when everyone will come back from our TSU Across the UAniverse and the ones they attend as participants. 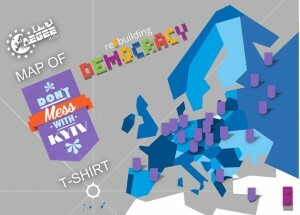 Apart from the Agora itself, AEGEE-Kyïv is organising a conference together with the Eastern Partnership project. It will take place one day before the Agora, on 13th of October and will engage every attendee in a dynamic process, which will include a keynote address by specially invited speakers and three panel discussions to be followed afterwards. Democracy and Security, Economy and Business and Civil Society and Youth Organization are three dimensions that will be discussed. We are inviting not only AEGEEans but also Ukraine’s youth to take part. The team of the conference will update the Network with more information closer to the August when the application period will start, so save one day before the Agora! How many organisers and helpers do you have right now? The team is huge now! Thanks to our amazing HR-Responsible, Hanna Poli, we had more than 150 applicants who she personally talked to and together we divided them into teams according to their experience and preferences. Now we have around 100 people, all of them organizers, not helpers. Of course the number will change. The strongest and the most responsible will stay until the time of Agora, which is quite typical for any event, especially with volunteering work. You have a very diverse team with people from different locals and even countries. Do you have a lot of support from other locals around the Network? Yes, our team is super international and I love it! Moreover, some organizers are my good friends and I worked with them so it’s a lot easier. 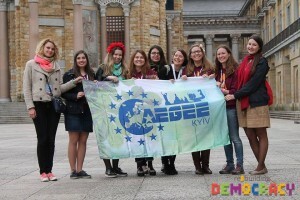 40% of all organisers are not from AEGEE-Kyïv, but from AEGEE-Kharkiv, Lviv, Ivano-Frankivsk, Odessa, Moskva, Voronezh, Minsk, Sankt-Petersburg, Dresden, Bergamo, Catania, Groningen, Zaragoza and Valencia. In my view, it makes this Agora very special as not only participants will learn more about the country, traditions, culture, and Ukrainians, but organisers too. Can you tell us a bit more about the locations we will be using during the Agora? 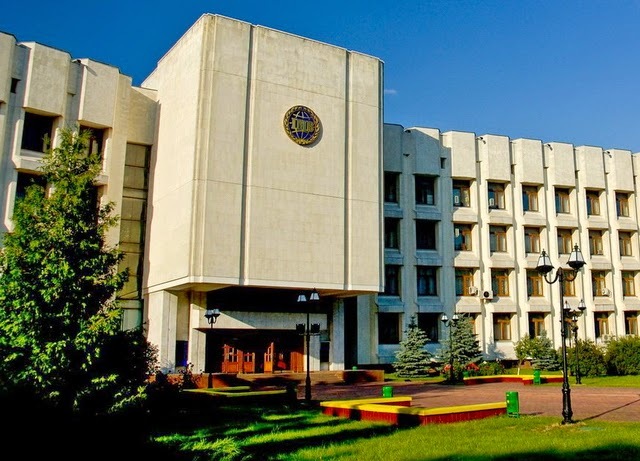 After a successful cooperation with Taras Shevchenko Kyïv National University during the Night of 7 Antennae event in April it was decided that Agora will take place in the buildings of the university. The place for conference will be in the city center, 15 minutes walking from the Independence Square, and the Agora itself in Kyïv Institute of International Relations. 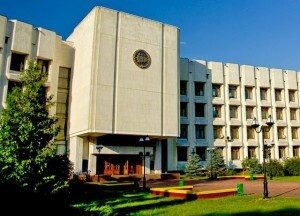 The participants will sleep in the university gym and taken by bus every day to the plenaries. What about your city? What makes Kyïv special? Everything is special in Kyïv. It’s a big city with a population of more than 4.5 million people. It is a place you will easily fall in love with and that will break a lots of existing stereotypes! Especially if you have not been to this part of Europe before, it will be an absolutely new experience. It has two UNESCO heritage sites (St.Sofia Cathedral and Kyïv Pechersk Lavra Monastery). The architecture is eclectic and shows all the historical periods the country went through, there are a lot of unique places and of course, typical Ukrainian and Kyïv dishes – you just can’t miss the chance to visit it! I love the city I was born in and each time when participants are coming here it makes me feel proud! I advise everyone to not only come to the conference but also stay for more days for the post-event and visit all the famous Kyïv places! 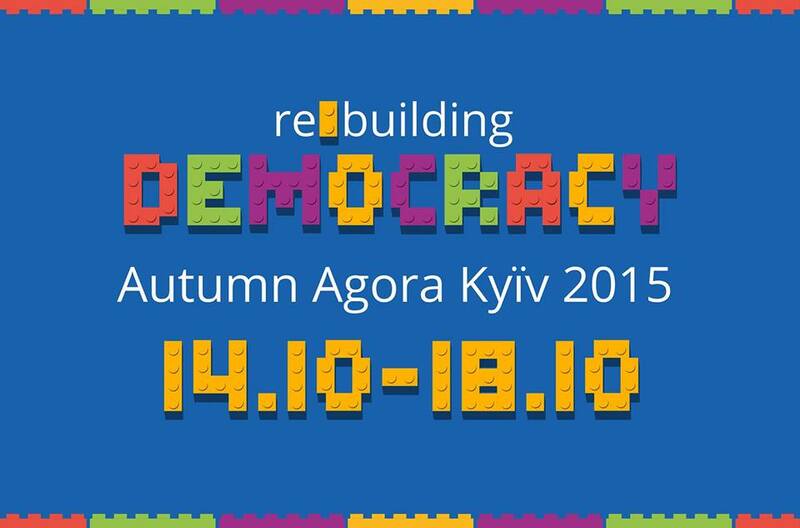 Why should AEGEEans join you in Kyïv for the Autumn Agora? 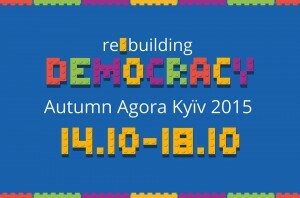 Autumn Agora Kyïv 2015 is not only a statutory event. It provides the chance to hundreds of AEGEEans to see and to show that things in Kyïv are fine, that Ukraine is not a war field. Together with the conference that takes place on the 13th of October, it will be a good starting point to making our Agorae something more meaningful than just a simple general assembly. Some of the current organisers were helpers during Spring AgorAsturias. How did you experience this, and what lessons did you learn for your own Agora? Yes, me, Viktoria (External Communication team) and Hanna Poli (HR-responsible) were helping in Asturias and it was a great experience, we have tried different types of work and saw Agora from another side. A good thing when you organise the next one! I guess the main lesson for me is that people will find something to complain about, not only during the Agora but at any kind of events, so the most important is to fulfill the basic needs. You are doing a lot of challenges on your Facebook page. What challenges and other surprises do you have upcoming for AEGEEans following? Yes, the PR-team is working really good together and promoting the event very good so far. I am proud of the way they are taking care of their tasks and the result we have. I cannot tell a lot since they prepare much more than challenges, so follow the page to get to know more! Would you encourage other locals to apply for hosting the next Agora? Why? What should they first take care of?